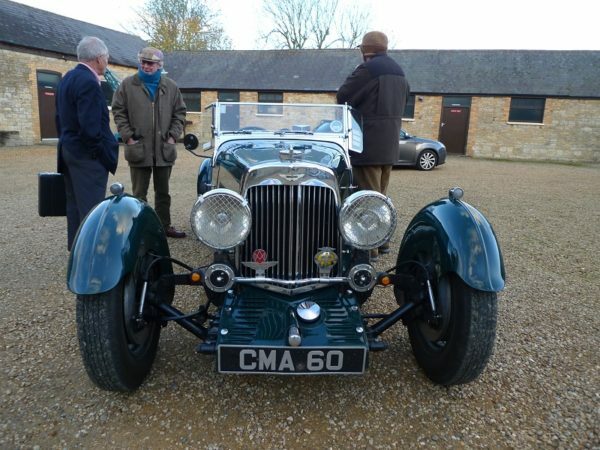 The SAHB Autumn Seminar, with the AGM and Motoring Literature Fair, was held at The Sir Henry Royce Memorial Foundation in Paulerspury on 22nd October 2017, after an excellent informal dinner the evening before at the Villiers Hotel in Buckingham. All the talks were of outstanding quality, with pictures and film that made us gasp at times with their quality, rarity and insight into the excitement, danger and camaraderie of racing and record-breaking, and the unparalleled attention to excellence started by Rolls, Royce and Johnson, and maintained to this day. The Aston was just about to be taken home by two well-wrapped-up attendees. The weather was good, but not that good!